There’s nothing worse than a supposedly relaxing evening at home being interrupted by the sounds of unwelcome guests. These freeloaders live on your scraps and they thrive in places and conditions you might not ever imagine were possible. The rent-free guests I’m referring to are of course rodents, spiders, possums and cockroaches. Each has its preferred calling card (choose your favourite souvenir: droppings, noise, webs, eggs), and can be found in many houses, apartments and businesses across the country. If you’re tired of spending your evenings implementing homespun protective measures only to find you’ve wasted your time and money, it’s probably time you called a professional. 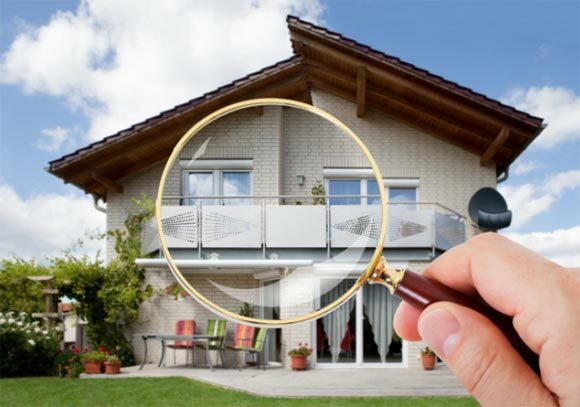 Residential and commercial pest control is designed to detect where the problem in your property is located, so that it can be responsibly controlled and prevented from recurring. If pests are the cause of your unpleasant home environment, consider the above to be your easy fix. Does you home smell a little strange and damp? Perhaps you’re suddenly wheezy or unwell, even outside of cold and flu season? The cause could be as miniscule as mould, which thrives in moist or damp environments, and places with little ventilation. Mould can sometimes be detected with the naked eye, as it tends to accumulate in a few common areas. Search near skirting boards and ceilings in older style homes for telltale black or green dots. If you identify any, or notice signs of dampened paintwork, you’re more than likely on track to sorting your mould problem. Bathrooms and kitchens are another common location for mould to accumulate. Mould can be tricky to remove by yourself, and often calls for noxious or harsh chemicals to remove it properly. Make sure if you attempt to do so, you use proper PPE and consult the label or manufacturer’s website. In more cases, it’s another situation best handled by a quick phone call to a professional. If you’re finding it hard to go for an hour without a stuffy nose or a sneezing fit (particularly upon waking from sleep), your problem could be mite-y bad. Dust mites are a common allergen which affect approximately 40 percent of the population. They’re found in soft furnishings, mattresses, carpet and bedding – meaning that they’re both very hard to avoid, and they’re found in items we spend plenty of time in close contact with. The allergens associated with dust mites are not actually the mites themselves. It’s the secretions from dust mites which contain a particular protein which is highly irritating to allergy sufferers. This is one of the reasons why they can be so hard to control. To effectively manage or control your allergy, it can be helpful to regularly wash bedding in hot water, and to avoid furnishing with carpets, rugs and curtains. Keep areas free from dust, and use eucalyptus or tea tree oil oil products to help kill dust mites in/on objects which aren’t able to be washed. If you’re feeling a bit cooler than normal, it’s probably not your imagination. Draughts are common in older houses, and can occur when normal seals become worn or cracked with time. Depending on the source of the drought, it can often be remedied cheaply with a fabric barrier. More serious structural degradations can be repaired with either plaster, silicon or another suitable amalgam. Small issues such as pests or draughts can cause significant distress and concern to the point that they interfere with quality of life. Identifying the source of your problem and remedying it by either calling a professional or employing proven self-care tactics are the best ways you can feel comfortable and at ease in your home again.